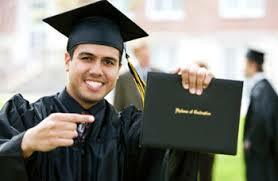 LATINO HIGHER EDUCATION- REALITY OR MERE RHETORIC? In the midst of an endless barrage of belated education reform proposals coming from Governor Brown, President Obama, and elsewhere that are purportedly designed to improve what has become an abysmal public education system, regrettably one might still ask if anybody really wants minority- and more specifically Latino- children to finally achieve their academic potential? If they actually did, those devising public education policy might try doing something different that has already proven to work well everywhere else in the world where it has been implemented. With recent studies showing that the bilingual brain is significantly more capable of assimilating more information in any subject than a monolingual brain, one must wonder why America still clings to a monolingual system of public education, where Spanish and other foreign languages are still treated like diseases that young students must be cured of, instead of potential assets to be nurtured as a culturally given advantage that all students and this country might profit from. Still ignoring the fact that all students have a two-year foreign language requirement for university admission, districts like the Los Angeles Unified School District (LAUSD) steadfastly refuse to implement the teaching of a foreign language before high school, even when all research and the experience of all countries with multilingual education systems around the world show that a significantly earlier teaching of foreign languages is much more effective in maintaining or establishing foreign and native language fluency, if given at a time prior to puberty, when human brains find it much easier to assimilate new languages. Simply stated, literacy in any language drives increased fluency in all other languages and unrelated subjects that a student is intelligently exposed to. Is there any rational reason why, at the very least, the teaching of a foreign language is not commenced in middle school as opposed to waiting until high school? It is worth mentioning that a country like the Philippines has a highly educated bilingual population that is equally fluent in Tagalog (or other native language) and English. A smart society in a multilingual world doesn't force its population to choose between languages, since it knows there is literally no downside to being multilingual. Given a present dysfunctional public education reality in the United States, what you might find astounding is that it was American missionary educators after the Spanish-American War at the turn of the last century that went into the newly conquered Philippines and instituted this leading edge bilingual system of education still used in the Philippines, where all school classes might be given in either English or Tagalog. What is achieved is perfect fluency in both languages and in all subjects, since literacy in one language naturally drives literacy in the others. It also needs to be noted that there are more ways than one to skin a monolingual cat. In Sweden during the 1960s, Sweden brought in guest workers from India. To assure their social integration, the Swedish government at great initial expense, taught these workers their native Hindi language, before attempting to teach them Swedish- and the English that all Swede learn from an early age in school. What has resulted is a perfectly integrated initially foreign population of Swedish citizens. And for a profound long term benefit, people well integrated into society do not become a burden on the social welfare and criminal justice system. The first step in turning a more viable method of language acquisition loose in American public education is to understand why there has been such hostility to the maintenance or acquisition of any other language besides English. When this country was founded, it was to a great extent as a safe haven for people escaping from endless European wars- a reprise of which we are presently seeing in the Ukraine. Since the main component of these cultural conflicts was linguistic and cultural differences, America chose to make the speaking of English and the giving up of other then divisive languages- that had lead to war in Europe and elsewhere- as the price of social integration into this country. Although those days are clearly over, what remains are still entrenched attitudes that see the exclusive speaking of English as the only true measure of social integration. Most native Americans seem to think that since their ancestors had to give up their native languages, Latinos and others should also be required to do so. I've got news for you, they're not going to. What is rarely asked is whether the older Americans loss of their native languages and cultures was really necessary and beneficial to their effective social integration in this country. All Danes are completely bilingual with English, which has in no way threatened their social stability- rather it has increased it. Ironically, the reality of American disproportionate cultural and economic success around the world has always owed a great deal to the melding of American culture with the never ending stream of new immigrant cultures and their unique and different ways of creating an always redefining synthesis of what it is to be an American.This continued healthy evolution has allowed us to remain viable, where other societies have failed. And yet both native born Americans and many lower socio-economic immigrants continue to circle the wagons out of fear around their respective monolingual visions of America that either speak only English or see the loss of Spanish as something they must defend against in rigidly monolingual societies that refuse to make room for any language that might serve to alter their limited view of life. When you learn another language you not only develop the ability to communicate with other people, you also develop the fluency to see life the way those who speak that language see by understanding the subjective value they give to words in their language. Ultimately, that which is expressed best in each idiom comes into the common usage of all Americans. I'm hard pressed to see any downside. Try discussing this subject with a Scandinavian, Indian, Filipino, or one of the 150 million Chinese who are presently learning native level English. En medio de un aluvión interminable de propuestas de reforma de educación tardía provenientes de gobernador Brown, el presidente Obama, y en otros lugares que están supuestamente diseñado para mejorar lo que se ha convertido en un sistema de educación pública abismal, ¿alguien realmente quieren que los niños de minorías y más específicamente a Latino- finalmente alcanzar su potencial académico? Si realmente lo hicieron, los que elaborar la política de la educación pública podría tratar de hacer algo diferente que ya ha demostrado que funciona bien en todas partes del mundo donde se ha implementado. Con estudios recientes que muestran que el cerebro bilingüe es mucho más capaz de asimilar más información en cualquier tema que un cerebro monolingüe, uno debe preguntarse por qué Estados Unidos todavía se aferra a un sistema monolingüe de la educación pública, donde las lenguas extranjeras en España y otros todavía son tratados como enfermedades que los jóvenes estudiantes deben curarse de, en lugar de activos potenciales a ser formado como una ventaja dado culturalmente que todos los estudiantes pueden beneficiarse. Aún ignorando el hecho de que todos los estudiantes tienen un requisito de idioma extranjero de dos años para la admisión universitaria, otros distritos como el Unificado de Los Angeles School District (LAUSD) todavía se niegan firmemente a poner en práctica la enseñanza de un idioma extranjero antes de la secundaria, incluso cuando toda la investigación y la experiencia de todos los países con sistemas educativos multilingües de todo el mundo muestran que una enseñanza significativamente más temprano de lenguas extranjeras es mucho más eficaz en el mantenimiento o el establecimiento de la fluidez de idiomas extranjeros y nativos, si se le da a la vez antes de la pubertad, cuando el cerebro humano resulta mucho más fáciles de asimilar nuevos lenguajes. En pocas palabras, la alfabetización en todas las unidades del lenguaje aumenta la fluidez en todos los demás idiomas y temas relacionados que un estudiante está expuesto de forma inteligente a. ¿Hay alguna razón racional por qué, al menos, la enseñanza de una lengua extranjera no se inicia en la escuela media en lugar de esperar hasta la escuela secundaria? Vale la pena mencionar que un país como Filipinas tiene una población bilingüe altamente educada que es igual de fluido en tagalo (u otro idioma nativo) o Inglés. Una sociedad inteligente en un mundo multilingüe no obliga a su población para elegir entre los idiomas, ya que sabe literalmente no hay inconveniente de ser multilingüe. Teniendo en cuenta la realidad actual en los Estados Unidos, lo que puede encontrar sorprendente es que fue misioneros estadounidenses después de la Guerra Española-Americana a comienzos del siglo pasado, que entró en Filipinas recién conquistada e instituyó este sistema bilingüe vanguardia de la educación todavía utilizado en las Filipinas, donde todas las clases de la escuela pueda darse en Inglés o tagalo. Lo que se consigue es perfecta fluidez en ambos idiomas y en todos los temas, desde la alfabetización en un idioma conduce naturalmente a la alfabetización en el otro (s). También hay que señalar que hay más de una manera de pelar un gato monolingüe. En Suecia, durante la década de 1960, Suecia introdujo trabajadores invitados de la India. Para asegurar su integración social, el gobierno sueco a un gran costo inicial, impartido estos trabajadores su Hindi natal, antes de tratar de enseñarles y la sueco-Inglés que todos sueco aprender desde una edad temprana en la escuela. Lo que ha dado como resultado una población extranjera inicial perfectamente integrada de los ciudadanos suecos. El primer paso en la transformación de un método más viable de la adquisición del lenguaje suelto alrededor de la educación pública estadounidense es entender por qué hay tanta hostilidad hacia el mantenimiento o la adquisición de cualquier otro idioma además del Inglés. Cuando se fundó este país, fue en gran medida un refugio seguro para las personas que escapan de interminable Europea Wars- una repetición de lo que estamos viendo actualmente en Ucrania. Dado que el componente principal de estos conflictos culturales fue las diferencias lingüísticas y culturales, América optó por hacer el hablar de Inglés y el abandono de otros idiomas- entonces divisiva que había conducido a la guerra en Europa y en otro lugar- como el precio de la integración social en este país. Aunque esos días son claramente más, lo que queda todavía son actitudes arraigadas que ven al hablar exclusiva de Inglés como la única verdadera medida de la integración social. La mayoría de los nativos americanos parecen pensar que ya que sus antepasados tuvieron que renunciar a sus idiomas nativos, latinos y otros deben también ser requerido para ello. Lo que rara vez se plantea es si la pérdida de los estadounidenses mayores de sus lenguas y culturas nativas era realmente necesario y beneficioso para su efectiva integración social en este país. Todos los daneses son completamente bilingües, que ha de ninguna manera amenazado su estabilidad- social y no se la ha aumentado. Irónicamente, la realidad del éxito cultural y económico desproporcionado estadounidense en todo el mundo ha debido siempre un gran acuerdo para la fusión de la cultura americana con la corriente interminable de las culturas inmigrantes y sus maneras únicas y diferentes en la creación de una síntesis siempre la redefinición de lo que es de ser estadounidense y lo que significará en el futuro. Esta evolución continua saludable nos ha permitido seguir siendo viable, en otras sociedades han fracasado. Y sin embargo, tanto los estadounidenses nacidos en el país y muchos inmigrantes socio-económicos más bajos siguen cerrar filas por temor en torno a sus respectivas visiones monolingües de América que, o bien sólo hablan Inglés o ver la pérdida de Español como algo que deben defenderse en las sociedades rígidamente monolingües que negarse a hacer sitio a cualquier idioma, que puedan servir para alterar su visión limitada de la vida. Cuando se aprende otro idioma que no sólo desarrolla la capacidad de comunicarse con otras personas, usted también desarrolla la fluidez de ver la vida como los que hablan ese idioma piensan entendiendo el valor subjetivo que le dan a las palabras en su idioma. En última instancia, lo que se expresa mejor en cada idioma entra en el uso común de todos los estadounidenses. Estoy en apuros para ver cualquier inconveniente. Trate de discutir este tema con un escandinavo, india, filipina, o uno de los 150 millones de chinos que actualmente están aprendiendo Inglés. ‹ WERE YOU TERMINATED OR FORCED TO RETIRE FROM LAUSD BASED ON FABRICATED CHARGES?